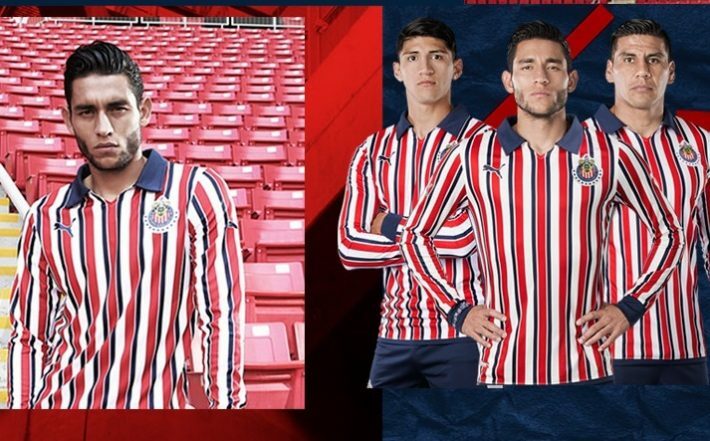 CONCACAF Champions League winners Chivas de Guadalajara today revealed a limited edition PUMA kit that they will wear at this year’s 2018 FIFA Club World Cup in December. 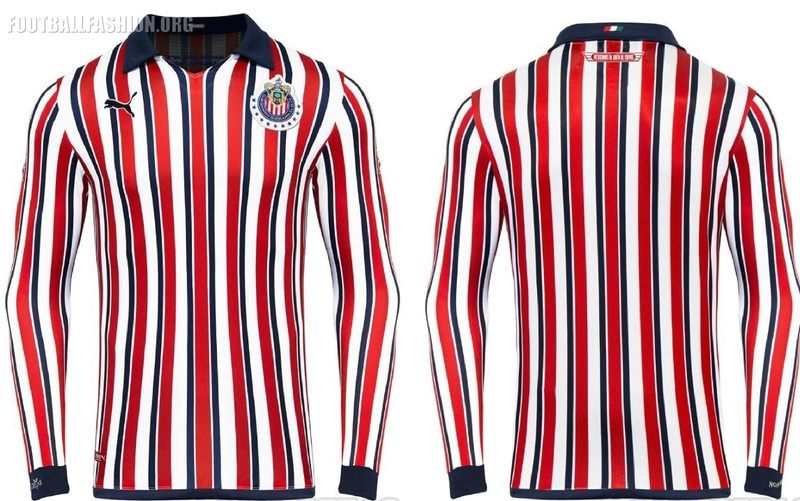 The final El Rebaño Sagrado (The Sacred Herd) jersey of the year has a decidedly vintage look thanks to its 1960s to 1970s soccer jersey design. 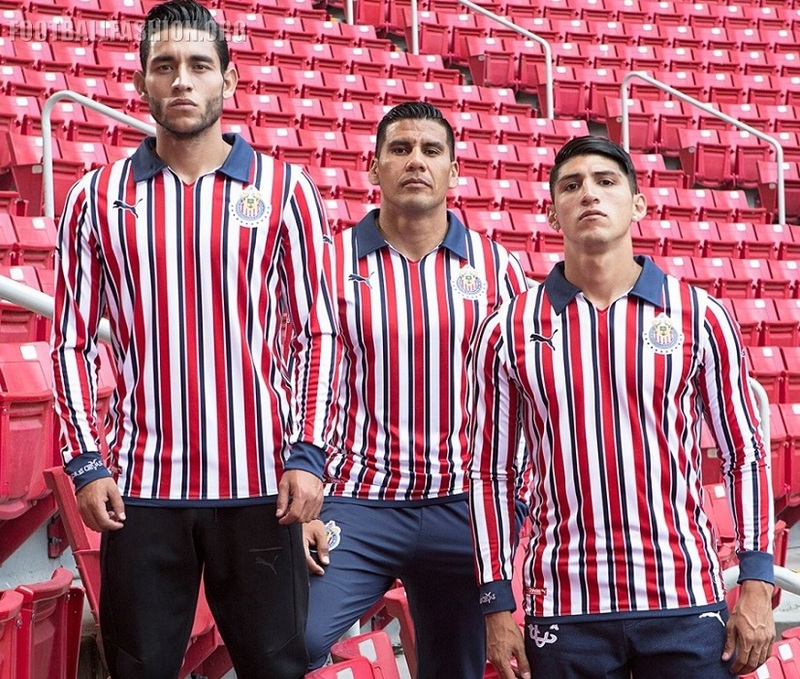 The Chivas 2018 FIFA Club World Cup PUMA shirt features relatively thin versions of the team’s well-known red and white stripes throughout. 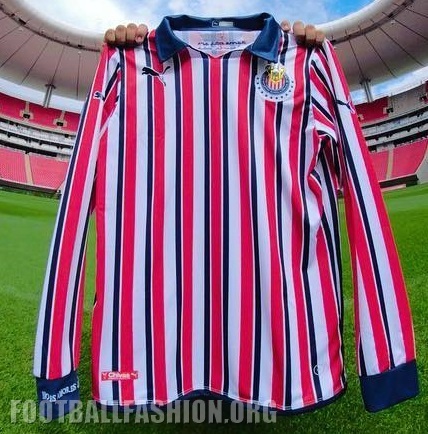 The stripes are paired with thinner stripes on the dark blue of Chivas’ crest. Dark blue is also used for the large polo collar, sleeve cuffs and waistline of the jersey. A Mexican flag is printed on the center of the outside back collar. 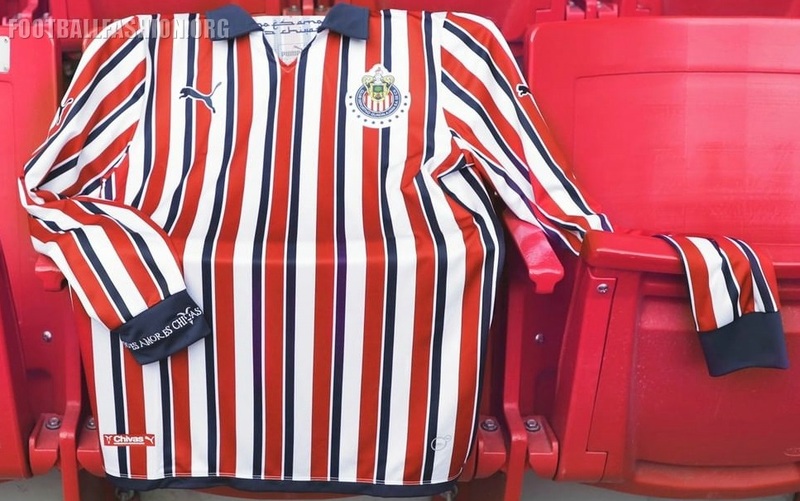 A graphic wit the text “Mexicanos al grito de Chivas” (Mexicans to the Cry of Chivas) is printed on the signoof area of the kit. Limited to just 2,018 units, the Chivas 2018 FIFA Club World Cup PUMA kit is packed in a black box with the club’s crest on it. The club’s shop has sold out of its allotment of the shirts.